We have ever discussed about the comparisons between Samsung NX300 and Samsung NX500 previously. Since NX500 is actually an update to NX300, don’t forget to take a look at the discussion! In the following article, however, we are going to compare Samsung NX300 to Samsung NX30. Well, although their names are somewhat similar, the two products are being sold at very different prices. 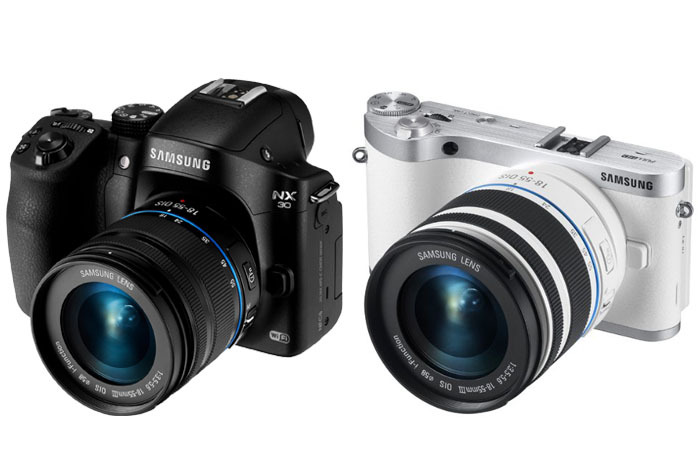 Samsung NX30 is quite more expensive than Samsung NX300. So, what does the price increment bring into the deal? Which is the model that holds the fullest value for your money? In terms of design, you can notice that Samsung NX30 is somewhat bulkier than Samsung NX300. This is not necessarily bad, or at least, not completely. Samsung NX300 comes with a slim and lightweight body, making it easy to be brought along on your trip or travel. However, the compact body may lack some gripping area. Samsung NX30 is still quite lightweight, but the bigger body allows for a firmer grip. In addition, as opposed to NX300’s tilt-only, NX30 also introduces a tilt-swivel display screen, providing maximum shooting flexibility. Not only that; NX30 also brings a number of additions into the specs and features. Most notably, as opposed to NX300’s tilt-only, NX30 introduces a tilt-swivel display screen for maximum shooting flexibility. It also comes with an eye-level viewfinder, microphone jack, and internal flash, which NX300 lacks. Even though each of the two models comes with a 20.3 MP sensor, Samsung NX30 can offer you better performance and functionality. The camera comes with a slightly faster startup time, ensuring that you will not miss the moment. It also has a slightly faster continuous shooting speed compared to Samsung NX300. And, perhaps the most significant upgrade, Samsung NX30 comes with a larger buffer size than Samsung NX300. While NX300 can only take up to 14 JPEG or 5 RAW shots before needing to pause, NX30 is able to hold up to 21 JPEG or 12 RAW shots. It can also make slow-motion videos! As Samsung’s Smart Mirrorless Digital Cameras, NX300 and NX30 both come with inbuilt Wi-Fi and NFC, which, in turn, make the cameras compatible with various Samsung SMART features, such as social media upload, DirectLink, MobileLink, Allshare, Remote Viewfinder, and Cloud Service. As the conclusion, Samsung NX30 makes the better choice compared to Samsung NX300. The added features and performance upgrade are great!